RANDY & CONNIE WELCOME YOU TO REILLY’S PUB! Reilly’s pub was established in 2008 with a dream in mind - to create a friendly irish neighborhood pub where friends and families could meet and enjoy good food, good times, good company, and make some good memories. 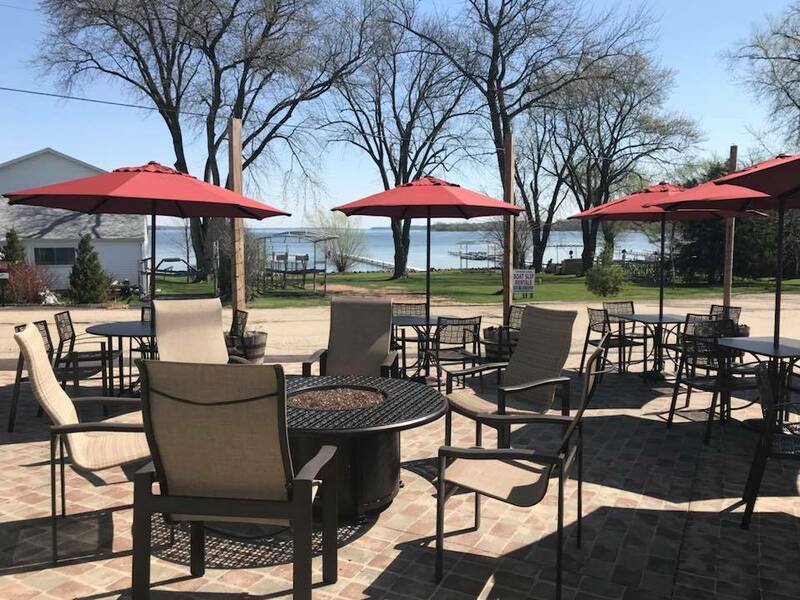 Located on the lovely dubbed, Green Lake Terrace, Reilly’s has become a popular gathering place for patrons all year round. 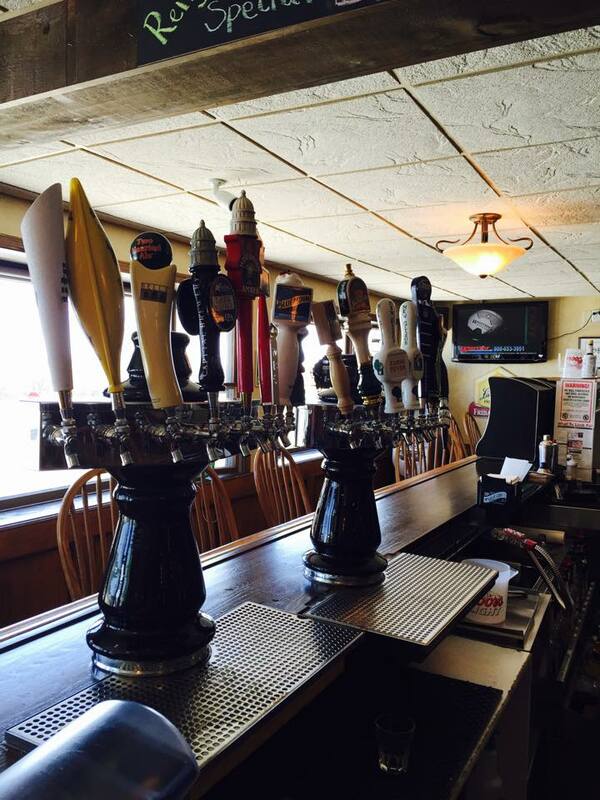 Reilly’s is proud to be a part of the Green lake community and surrounding area. Our Irish take on nachos. Homemade chips topped with corned beef, sauerkraut, scallions and smothered in a homemade cheese sauce. Served with sour cream & Thousand Island. Pick you Spud: Corned beef, sauerkraut, swiss cheese & thousand island....Bacon, cheddar jack cheese & blue cheese crumbles....Lobster & cheddar jack cheese.... Buffalo garlic chicken, cheddar jack & blue cheese crumbles... Topped with scallions & served with a Side of sour cream. Crispy battered onions & jalapeno slivers with chipotle sauce or ranch. Our delicious warm seasoned pretzel breadsticks. Served with our own beer cheese sauce. Sweet onions beer battered and crisped to perfection. Breaded cheddar cheese curds just like the state fair. A Wisconsin classic. Our warm spinach & artichoke dip smothered with mozzarella & served with white corn tortillas. Our hand rolled Irish answer to the egg roll. Slow cooked hand pulled corned beer, sauerkraut and Swiss cheese served with Thousand Island dressing for dipping. Green beans breaded and fried to a golden crisp. Served with chipotle sauce or ranch. Our homemade version rolled in a wonton served with pizza sauce. Our homemade Spotted Cow beer cheese sauce topped with diced tomatoes, red onion, black olives and jalapenos served with white corn tortilla chips, sour cream and salsa. Fresh local greens served with choice of dressing, cucumbers, tomato wedges, red onions, crumbled bacon and shredded carrots. Romaine served with choice of dressing, avocado, diced tomatoes, red onions, crumbled bacon, hard boiled egg & blue cheese crumbles. Spring blend served with turkey breast, apples craisins, shredded swiss, pepitas & apple vinaigrette dressing. Romaine and spring blend served with choice of dressing, turkey breast, ham, shredded swiss & cheddar jack, hard boiled egg, cucumbers, diced tomatoes,red onions, and shredded carrots. All our burgers are 1/2 pound angus beef and are served with your choice of French fries, chips, home-made potato salad, cottage cheese, coleslaw or apple sauce. Substitute sweet potato fries, garden salad or cup of soup for $2.00. Our Angus beef patty topped with caramelized onions and Swiss cheese. Served on toasty marble rye. Certified Angus Beef patty topped with onion rings, pepperjack cheese, bacon, BBQ and ranch. Served on a Brioche or pretzel bun. Angus beer patty with your choice of American, cheddar, pepperjack or Swiss cheese. Served on a Brioche or pretzel bun. A classic combination of mushrooms smothered with Swiss cheese served over our Angus beef patty. Served on a Brioche or pretzel bun. Blackened Angus Beef Patty topped with blue cheese and fried onions. Served on a Brioche or pretzel bun. All natural ground turkey served with your choice of cheese on a brioche or pretzel bun with red aoli sauce, lettuce & tomato on the side. A vegetarian patty with a little spice served with choice of cheese and BBQ sauce with lettuce & tomato on the side. Served on a brioche bun or pretzel bun. Angus beef patty topped corned beef, sauerkraut, swiss & thousand island. Served on brioche or pretzel bun. Angus beef patty topped with swiss cheese, apple slices & caramel. Served on a pretzel bun. All our sandwiches are served with your choice of French fries, chips, home-made potato salad, cottage cheese, coleslaw or apple sauce. Substitute sweet potato fries, garden salad or cup of soup for $2.00. Create your own chicken sandwich with your choice of grilled or breaded chicken breast with lettuce and tomato. Served on a Brioche bun. Slow cooked hand-pulled corned beef, sauerkraut, Swiss cheese and Thousand Island dressing served on marble rye. This is an enormous sandwich in taste and popularity. Served on toasted multigrain bread with choice of cheese. Traditional bacon, lettuce, tomato and mayo. Served on toasted multigrain bread. Breaded cod served with American cheese and our home-made tartar sauce. Served on a brioche bun. Sliced turkey layered with bacon, lettuce, tomato and roasted red pepper aioli. Served on multigrain bread. Thinly sliced roast beef piled high with swiss chesse on a hoagie bun. Mushrooms, onions or green peppers available upon request. Romaine lettuce, grilled garlic chicken,bacon, shredded cheddar, tomatoes, red onions and ranch dressing. served in a cucumber tortilla wrap. Hot ham & choice of cheese served on a pretzel bun with horsey sauce. Grilled Certified Angus Beef Ribeye served on a hoagie bun. Cheese, mushrooms, onions or greeen peppers available upon request. Roasted turkey breast served on a grilled cinnamon swirl bread with bacon, swiss cheese & cranberry mayo. House made meatloaf served open face on Texas toast topped off with mashed tators, gravy &Texas toothpicks. All our baskets are served with choice of french fries, chips, cottage cheese, home-made potato salad, coleslaw or applesauce. Substitute sweet potato froes, garden salad or cup of soup for $2.00. Breaded all white meat served with choice of sauce. Our wings featuring Legend Larry's sauces from mildest to hottest(choose one): garlic parmesan, teriyaki, honey BBQ, BBQ, mild, medium, hot garlic, raspberry habanero & DOA with celery & carrot sticks. Beer battered cod served with your choice of side. Succulent coconut shrimp served with sweet and sour. Lightly breaded shrimp served with cocktail sauce. All pastas served with a pub pretzel. Cavatappi pasta smothered in homemade beer cheese sauce. Cavatappi pasta smothered in our homemade cheese sauce, slow cooked hand-pulled corned beef, sauerkraut, rye croutons and a dollop of Thousand Island dressing. Available all day Friday’s only! All selections are served with choice of French fries, chips, cottage cheese, homemade potato salad or baked potato, potato pancakes, coleslaw or side salad, rye bread and lemon. Our famous hand breaded cod. Can be prepared Cajun style upon request. Lake perch lightly breaded with Reilly’s specialty breading. Cod loin seasoned and baked and served with drawn butter. Hand breaded baby pike served with tartar. All kids meals served with a choice of French fries, chips,, cottage cheese or apple sauce and choice of soda , milk or chocolate milk. New York style cheesecake with your choice of chocolate, caramel or raspberry drizzled on top with whipped cream. Molten chocolate lava cake served warm with vanilla ice cream. Ask your server for this weeks selection. In September of 2008, renovations began on what is now Reilly’s Pub, a small family owned business overlooking the shores of Green Lake. Early one morning several weeks into the construction, the crew arrived at work to find quite a surprise. Low to the ground, just inside the entrance, was a mysterious little door. At ﬁrst the crew thought it was a joke since no one knew how the door appeared inside the empty building. That night the owners and some of the crew camped out to spy on whatever was living on the other side of the locked doorway. Many hours into the night everyone fell asleep having seen neither hide nor hair of anything. Suddenly, the slamming of a door woke them and they knew they had missed their opportunity! Months went by with no sightings and the construction was completed. The mysterious little door remained untouched and became a part of the Pub. One night as the staff and owners were working to prepare to open the restaurant, they heard a strange noise coming from near the entrance. As they turned the corner, they saw a tiny creature peering out of the mysterious little door. When their eyes met, the little stranger scurried into the door and slammed it shut! The next morning the owners hired an artist to create a picture of the little creature that was seen the night before. Everyone was amazed to see that the picture turned out to be a leprechaun! It is that very drawing that now hangs above his mysterious little door. It only seemed fitting to name the Pub after this little Green Lake Leprechaun that we lovingly named Reilly. Since the initial sighting of Reilly, we uncovered part of his house inside the General Store. Reilly can be very untidy, leaving his bed unmade and his books strewn about. We know he is a sports fan, decorates for the various holidays and receives mail from admirers. He seems to enjoy his summers out by the rocks and the waterfall because customers have told us they have seen motion by the lilies. We know that he is sneaky to avoid being seen but we have found candy wrappers by his door so we know he exits. It is so special to have a leprechaun living here at Reilly’s Pub! Please be considerate to Reilly and his belongings, and if you’re lucky enough to meet him please say hello for us all! So things change through the years and in 2017 Connie & Randy Sondalle purchased Reilly’s Pub. The little Leprechaun was not having it. Seems Reilly does not like change! Every night Reilly would dirty the dishes and roll green toilet paper on the floor! They tried everything to get the Leprechaun to like them! They tried singing Irish songs, and decorating in Green & Gold, and even changed their name to O’Sondalle nothing worked……until they finally found the key or should we say shovel? One day they accidentally left the shovel from the Gravedigger himself outside the door. Turns out Reilly is a Packer fan and idolizes Gilbert Brown, the Gravedigger. After your meal take a tour of Reilly’s home. With the luck of the Irish and the blessing of the Gravedigger ….you may get a glimpse of Reilly! Have a question for our Reilly? Contact us for more information!